Many naturalists are of opinion, that the animals which we commonly consider as mute, have the power of imparting their thoughts to one another. That they can express general sensations is very certain; every being that can utter sounds, has a different voice for pleasure and for pain. The hound informs his fellows when he scents his game; the hen calls her chickens to their food by her cluck, and drives them from danger by her scream. Birds have the greatest variety of notes; they have indeed a variety, which seems almost sufficient to make a speech adequate to the purposes of a life, which is regulated by instinct, and can admit little change or improvement. To the cries of birds, curiosity or superstition has been always attentive, many have studied the language of the feathered tribes, and some have boasted that they understood it. The most skilful or most confident interpreters of the silvan dialogues have been commonly found among the philosophers of the East, in a country where the calmness of the air, and the mildness of the seasons, allow the student to pass a great part of the year in groves and bowers. But what may be done in one place by peculiar opportunities, may be performed in another by peculiar diligence. A shepherd of Bohemia has, by long abode in the forests, enabled himself to understand the voice of birds, at least he relates with great confidence a story of which the credibility may be considered by the learned. “As I was sitting, (said he) within a hollow rock, and watching my sheep that fed in the valley, I heard two vultures interchangeably crying on the summit of the cliff. Both voices were earnest and deliberate. My curiosity prevailed over my care of the flock; I climbed slowly and silently from crag to crag, concealed among the shrubs, till I found a cavity where I might sit and listen without suffering, or giving disturbance. 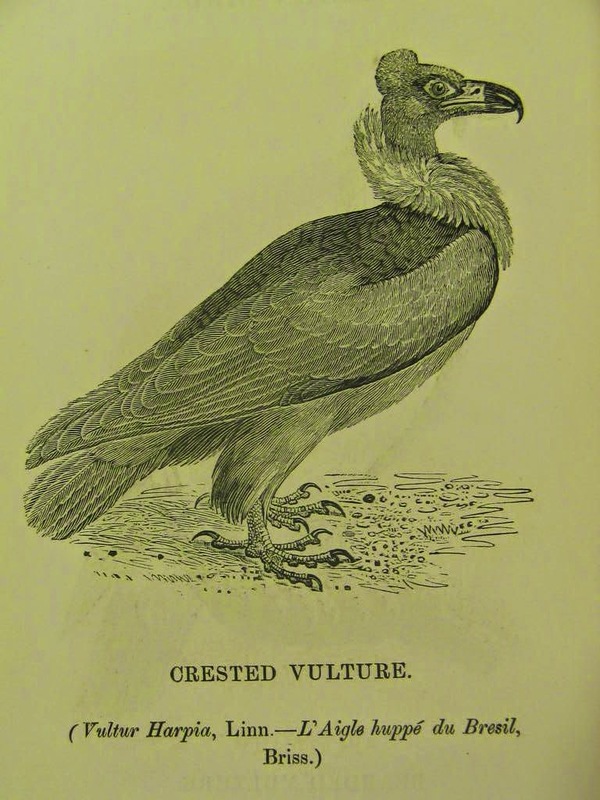 “I soon perceived, that my labour would be well repaid; for an old vulture was sitting on a naked prominence, with her young about her, whom she was instructing in the arts of a vulture's life, and preparing, by the last lecture, for their final dismission to the mountains and the skies.